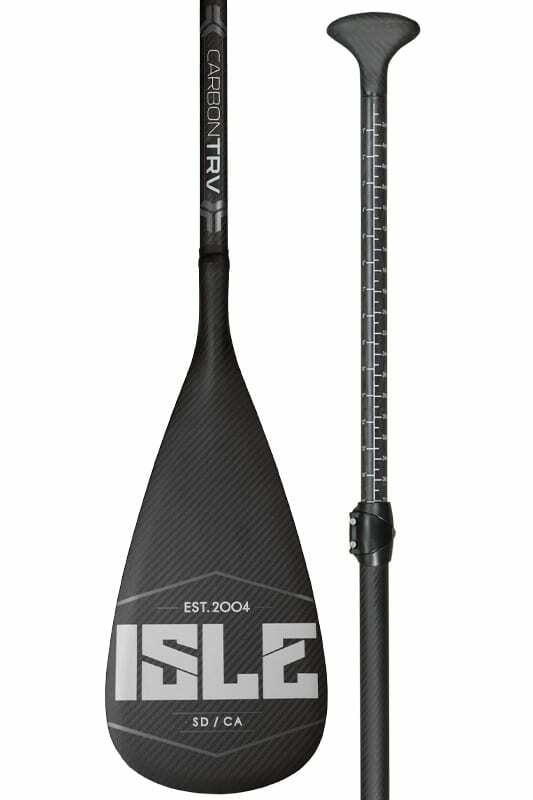 A super durable and tough carbon construction, this 3 piece carbon paddle is the strongest travel paddle we offer. Perfect for rental fleets and durable for daily abuse. The ISLE Carbon Fiber 3 Piece Adjustable Travel Paddle breaks down into 3 smaller pieces, so it can be easily stored in your travel bag. Great for travel and super durable! This model adjusts from 67 inches to 84 inches, which makes it ideal for traveling with families and friends of different heights who want to share the same equipment. Just size and go!